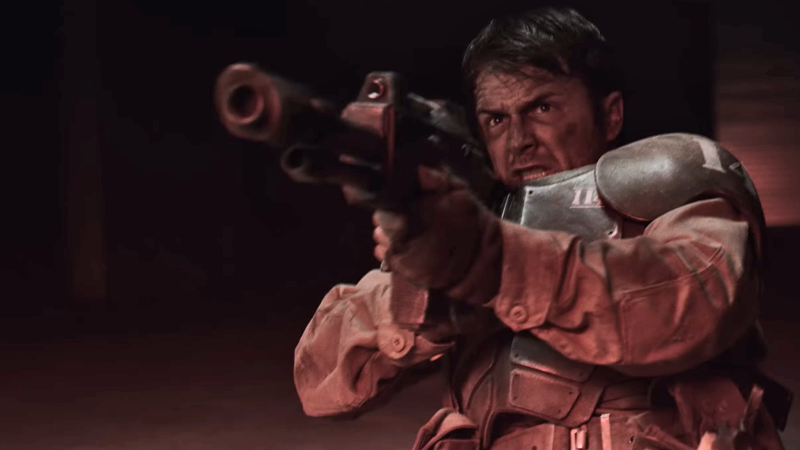 A poor Cadian Guard finds himself facing grim odds in this 40K fan film. After all, it’s still the grim dark future of the 41st millennium. It’s still going to be very miserable either way. This fun short comes from Richard Boylan, who previously wowed us with a visually inventive take on Games Workshop’s infamously, practically comically dark Warhammer universe for an animated short series. This time, he’s turned to live action rather than animation for a short simply titled Guardsman. As 40K fans might have gathered from the title, Guardsman follows a lone member of the Imperial Guard (Erik Steffens), a grunt on the front lines of the Imperium’s never-ending wars against alien threats. Being just a dude with an infamously terrible laser rifle in a world of daemonic horrors, violent alien hordes, malevolent space-elves, and other wild nightmares is already a tough time, and it seems like our titular hero’s time is about run out...until a small flickering of hope arrives in a rather large package. 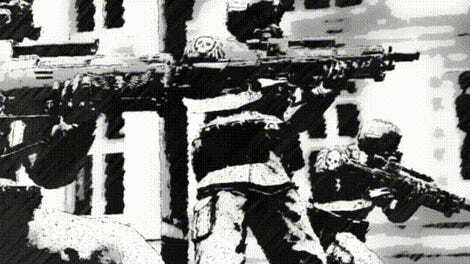 It’s not an epic look at the world of Warhammer, but a more intimate one that really hammers home the micro-scaled hell the ordinary soldiers of this setting are meant to go through (so think about that the next time you send a poor squad of Cadians to their dooms in your next tabletop game). But it also does a great job, in a short time, of getting across what sets apart the over-the-top, extraordinary figures of Warhammer 40K, too—reminding us of the literal epic scale of figures like the Space Marines in all their glory. If you want an extra dose of fun, you can head over to Guardsman’s Facebook page for a bevy of behind-the-scenes photos from filming, including some very good shots of the partially-complete Space Marine Suit being used on set.